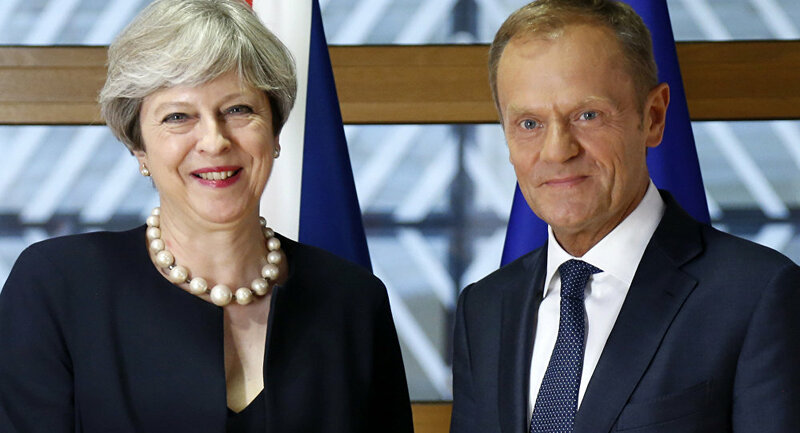 UK Prime Minister Theresa May said she has written to European Council President Donald Tusk seeking a Brexit extension until 30 June. Commenting on the matter, Tusk stated that he believes a short Brexit extension is possible, but conditional on a positive vote on the withdrawal deal in the UK House of Commons. At the same time, the UK Labour Party has vowed to ask for an emergency Parliamentary debate on Brexit on Wednesday. Sputnik discussed the delay to Brexit and its possible consequences with new Brexit Party member and former UKIP MEP Diane James. Sputnik: Will the EU be open to extending Article 50? Diane James: The EU wants a complete re-think, they want a second referendum and they want to ensure that the UK doesn’t leave the EU. Anything that fits with that strategy is what they are going to support, and it’s what Barnier, Tusk and Juncker are going to push for. If by agreeing to the longest possible extension and forcing that through, they then achieve their aim of another referendum or a general election — and Theresa May ousted as prime minister — that is what they are going to go for. Sputnik: Would delaying Brexit help the UK and Prime Minister Theresa May secure a better deal? Diane James: Whether it’s beneficial or not, Theresa May has given away so much, she’s got such an awful deal on the table, and the EU has already said that there is no re-negotiation of that withdrawal agreement, no re-negotiation of the terms. Quite frankly, it doesn’t matter how long we go for in terms of extension, it is a stalemate as it currently stands. Sputnik: What would be the best solution for the UK’s political deadlock? Diane James: Quite frankly, at 23:59, just before midnight on 29 March, the United Kingdom should walk away and say "we tried, we gave it our all, we have your concession after concession, you still won’t do a deal with us, and we are now going out of the EU on a no deal basis, you can now come back to us begging for a trade deal, and for good economic terms", the UK then takes the economic upper hand in this. The views and opinions expressed are solely those of the speaker and do not necessarily reflect Sputnik's position.